For an inanimate object resilience is like elasticity: the ability to return to its original form after being bent, compressed, or stretched. A rubber band is resilient; a coffee cup that is dropped, spilled and broken is not. Similarly, for a person resilience is the ability to grasp, assimilate and move forward from a disruption or change. Instead of returning to the original form like the rubber band, a resilient person is his same self but with the new information incorporated into the way he is and works. The place you bounce back to when you are resilient is called your “Center.” Similar to a center of gravity, the Center is grounded and balanced. It is a state of calmness and clear thought that influences how you handle change, emotionally and behaviorally. Getting back to Center can occur naturally over time, but is achieved more rapidly when taken on as a deliberate activity. The speed at which this re-centering occurs is the measure of resilience. Developing this ability and speed is the critical factor in bouncing back after a downturn or setback. Your personal resilience determines how well you handle changes in your life and also how well you yourself change. The greater your resilience, the higher your threshold for ambiguity and stress. As you increase your resilience you are able to handle more and more change at the same time. Growing resilience in others and in your organization will determine the organization’s ability to handle change, and the employees’ ability to take on your change initiative. As a change agent, the ability to cope with change yourself is crucial. Once you have mastered resilience, you can help those around you build their capacity to re-center and improve their own resilience. Mental Resilience includes the psychology of perception and reactions. One way to build mental resilience is by shifting your thoughts from non-productive thinking patterns to patterns that generate success. Physical Resilience is a little used resource in the workplace. Like a dashboard on a car, the body gives you information and data about what’s happening in your environment. It can also be used as a guidance system, or you can reprogram this guidance system for a different outcome. There are also certain body positions, as used in martial arts, that produce and make available certain thoughts and feelings. Emotional Resilience means building your capacity to manage your emotions as well as the emotions of others. Since fear and other strong emotions are common in uncertain situations, emotional resilience is key to being effective in managing and influencing change. Social Resilience includes your ability to build and utilize your support systems, networks and relationships as a resource. One of the greatest challenges facing change agents is having high-stakes conversations that move change forward. Talents and Skills Resilience means knowing your own unique talents and skills and how they complement other skills sets. With talents and skills resilience, you are able to confidently describe your talents, to recognize those who need them and to share your value with tact and effectiveness. 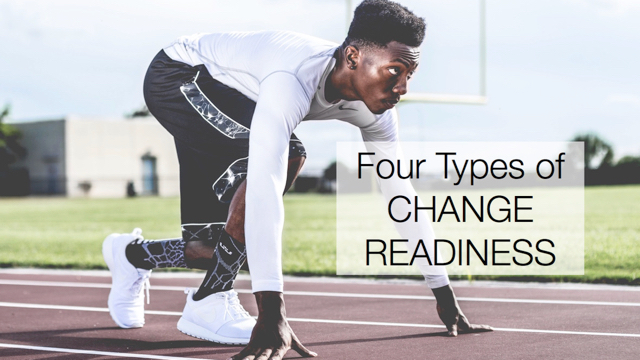 Mastering these five avenues for building your resilience to handle and manage change will not only set you apart, it will allow you to be more influential and seen as a resource for others who are experiencing change. You will become invaluable in supporting the fulfillment of the change initiative.